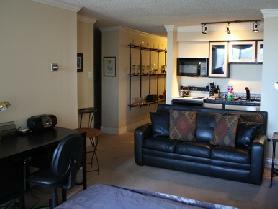 Brooks Tower Classic Fully Furnished Studio on 29th Floor. This south facing studio has 498 Square Feet. This building is located in the heart of downtown Denver: 1 block to the 16th Street Mall with its shops, restaurants and activities; Easy walk to Convention Center and Theater for the Performing Arts; and 3 blocks to Light Rail. The building amenities include: secured entry with a 24-hour front desk; fitness center; pool; sauna; billiards room; and laundry facilities. To view more photos, maps, and information, please click here. 2 BD/2BA Luxury Cherry Creek Condo. This 1294 Square foot condo features: an Upgraded Kitchen with stainless steel appliances and granite counter tops; King beds in Master and 2nd Bedroom; 5-pc Master Bath with High-End Finishes; Dining area; Flat Screen TVs in the Living Room and Master; and a Washer and Dryer in Condo. 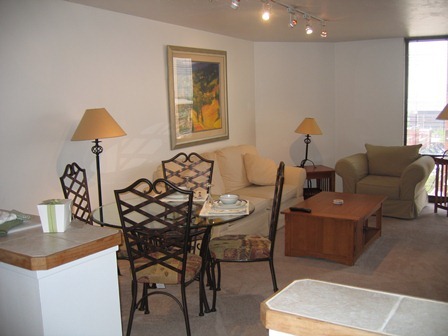 This unit also includes 2 Attached, Heated Parking Spaces in the Common Garage. The building is secure and is only 3 blocks away from the Cherry Creek Mall. To view more photos, maps, and information about this gorgeous condo, please click here. 1BD/1.5BA Modern East Denver Condo w/ Separate Office. This property has 900 Sq. Ft. and features: a Master bedroom has flat panel television and King Size Bed; Private master bath with over-sized shower/tub; 2 Very large over-sized closets with customized shelving; Kitchen has upgraded countertops, cabinets, tiling and brand new appliances; Office has desk and shelving with optional privacy curtain; Living Room has luxury sofa set with large flat screen television; Private access to balcony with patio furniture; Full size washer and dryer in laundry closet; and a Beautiful 1/2 bath. 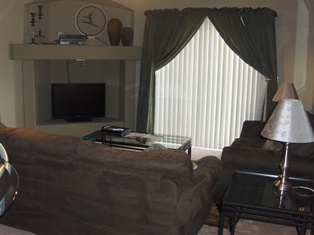 Amenities include pool, Great Room with Lounge area and Kitchen, fitness center and hot tub. 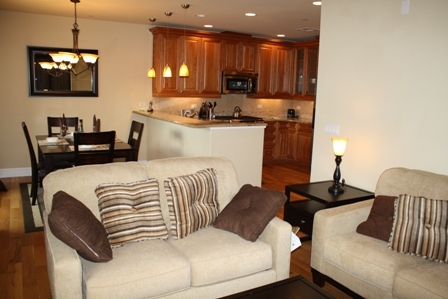 This condo is 9 miles away from the airport and 15 minutes from downtown. To view more photos, maps, and information about this great condo, please click here. To view all of the fully furnished condos, lofts, town homes, and houses that AvenueWest Denver has to offer, please visit us at http://Denver.AvenueWest.com or give us a call directly at 303-825-0000.